CRADLEY Heathens are ready to listen to offers for team naming and sponsorship rights. After four seasons with highly successful car dealership Motor Market, the club have an opportunity for individuals or businesses to step up and join the iconic club. And Motor Market duo Dean and Adam Bridge are not turning their back on the club – they will remain keen fans and will cheer the side on when their business schedule allows. 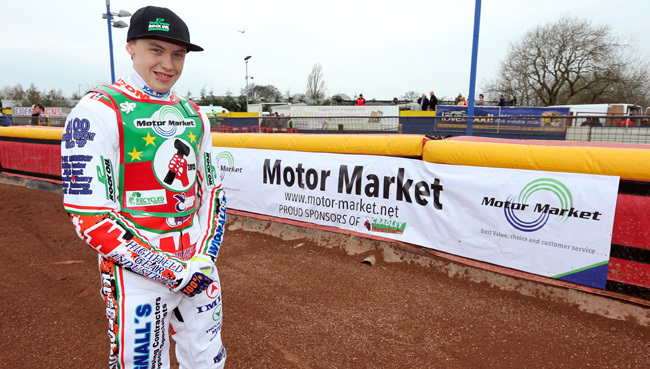 Club co-promoter Gary Patchett said: “Dean and Adam have been more than team sponsors – they are friends. “Their business demands have grown and they cannot get to meetings regularly but they are always welcome. It’s certainly not the end of the club relationship with the guys and we strongly recommend anyone in the market for a car and finance should pop along to see them in Cradley Heath. 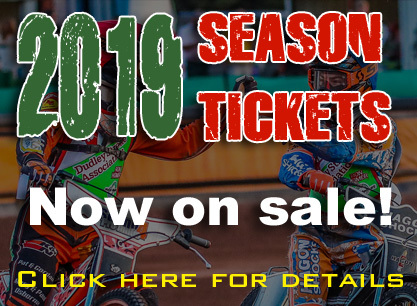 The team sponsorship package includes team naming rights, complimentary tickets and programmes, regional and social media exposure, chances to watch races from the centre green, visits to the pits area, PA announcements acknowledging the sponsorship, full page programme content and a team race jacket plus logo on team clothing. 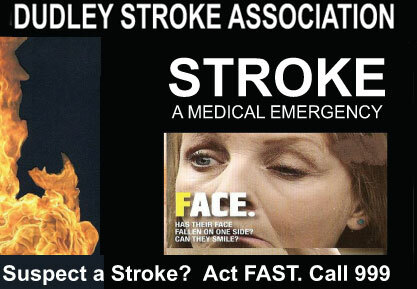 The club are delighted to welcome back Dr Rod Brooks and Dudley Stroke Association as team partners for the new season. And Stuart Curtis, owner of programme specialists Curtis Sport, will also be on board again. Curtis Sport specialise in speedway along with football including West Bromwich Albion, Aberdeen, Coventry City and Brentford as well as Rugby League and Rugby Union. They have also produced the Cardiff programme for the British Grand Prix over the last two seasons. Any interested parties in team sponsorship or partnership should email -email- for further details. 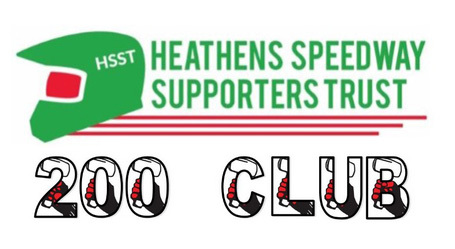 HEATHENS will announce their second signing for next season this Friday, December 7.